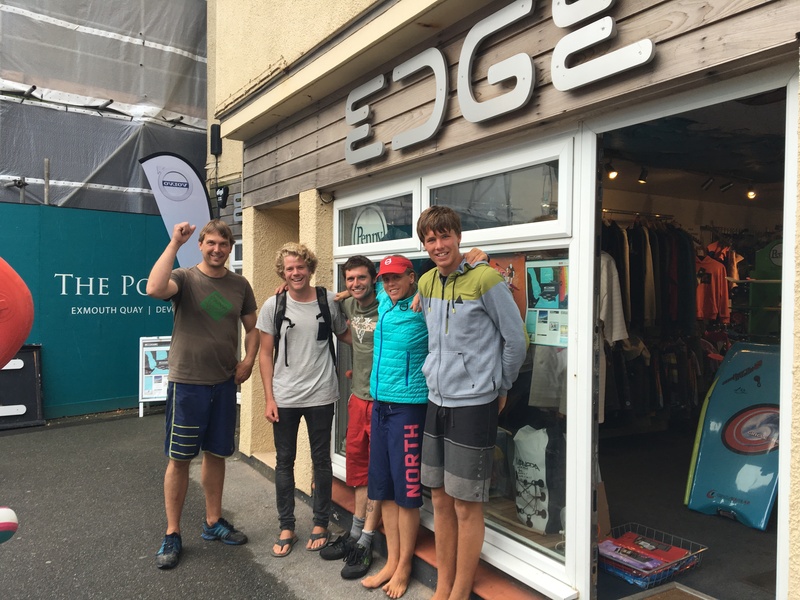 Team Bridge took the ferry from Plymouth down to the World Sailing Final in Santander, Spain. 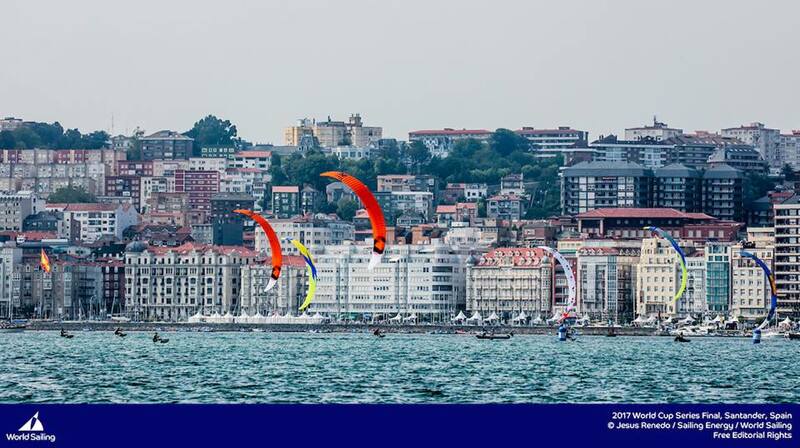 Sailing in front of the city with thousands of spectators & flat water in a mixture of winds from 25 knots to 6knot days. A really superb training ground with the short track format giving a total of 30 starts & just 7 minute races meant any mistakes & the race is lost. 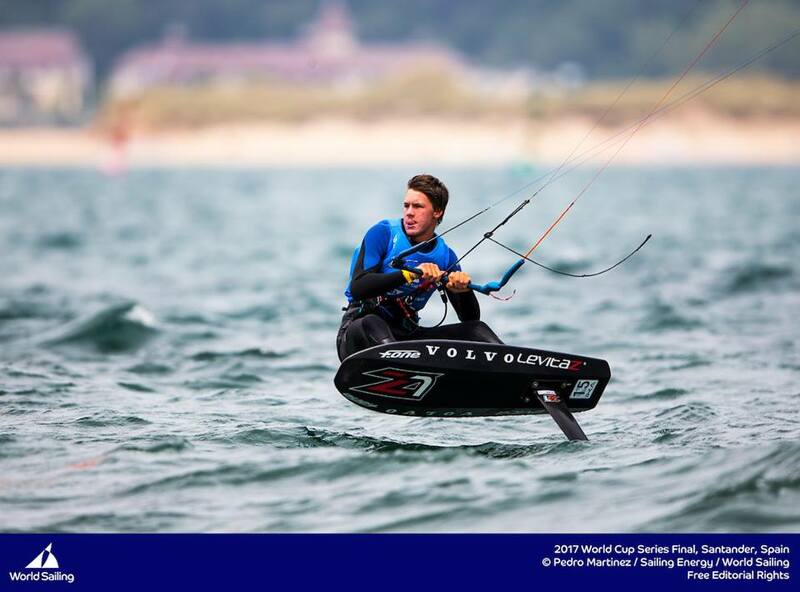 Defending sailing world Cup Final Champion – Olly had a poor start to the regatta while younger brother – Guy holding a solid second place - hot on the heals of leader Nico Parlier the clear leader of the event. The formula Kite means only registered equipment & for Guy & steph that meant competing on a missing size in their kite quiver. Decision making each day not easy especially with no chance to get back to the beach to swop kite sizes. Following 2 days of qualifying series the fleet was split into Silver & Gold. Steph & Mani in Silver fleet while Olly & Guy in the Gold before they would go onto the Medal Race days where there would be 3 more short races, Not discardable. The short track format is all boat handling skills & any crashes or errors on the course then it is not possible to make up the distance. 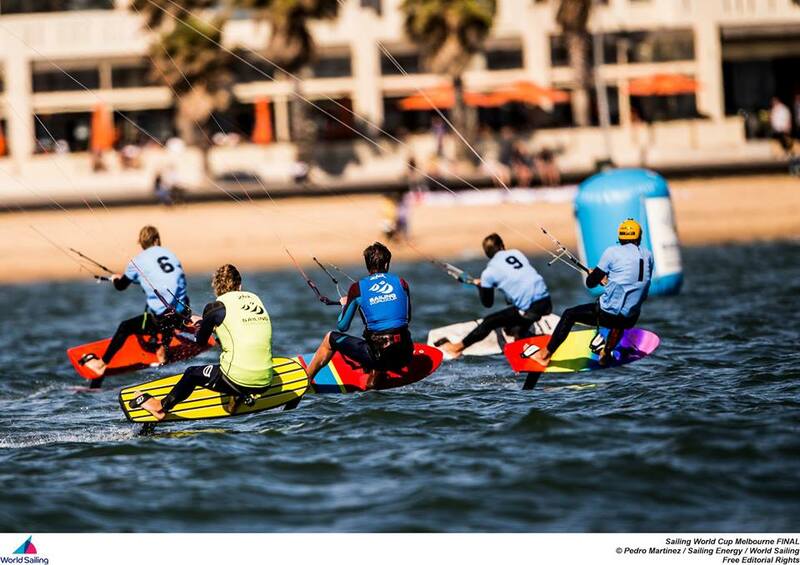 World Sailing put on a spectacular well organised & managed event giving us incredible racing conditions everyday. 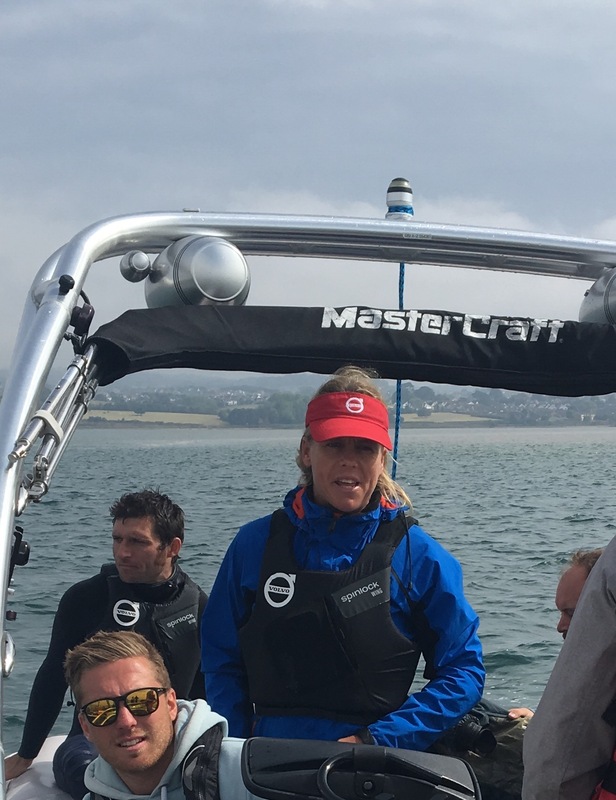 The Medal race day was light & fickle in a challenging 5-8knots off shore wind with the course set close into the stadium. 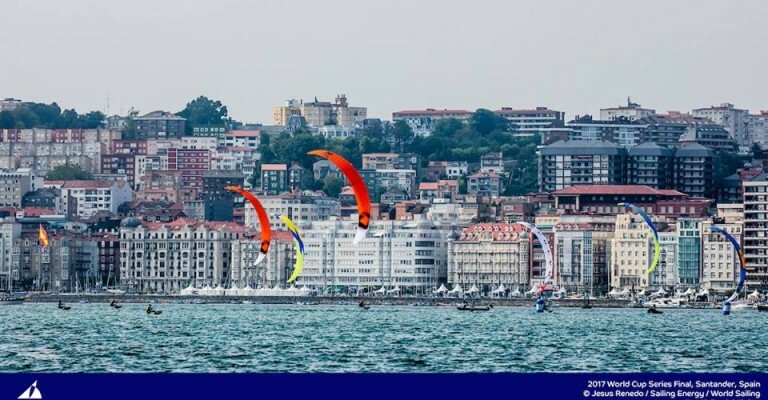 With 70% of the medal race athletes riding on the Levitaz Bionic, many also on the new Levitaz Foil Board – The Raze, the final races were all up for grabs for riders to find what wind there was on the course & keep the kites in the sky. Olly showed the best performance this day, reading the wind & pumping the board around the course, winning 2 of the 3 medal races. Unfortunately for Guy, he dropped his kite on the first race & with a wet soggy kite also struggled in the latter 2 races. 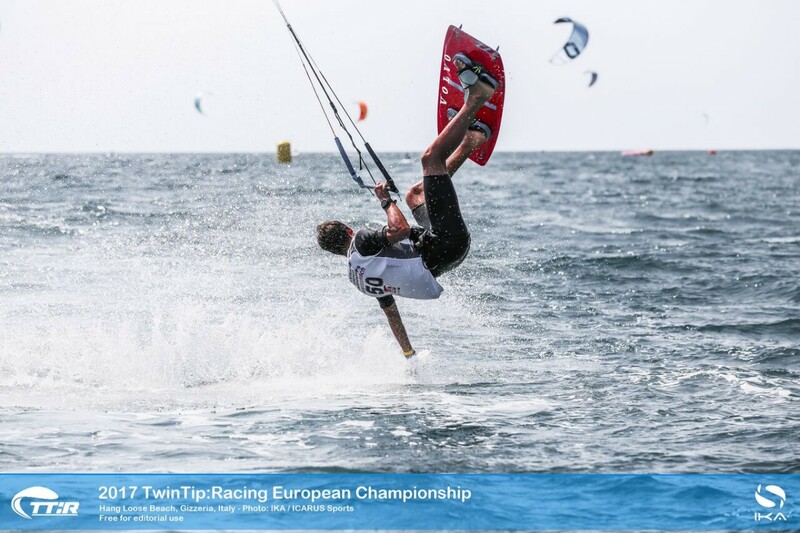 He dropped down to 4th overall while Olly jumped up to silver & Florian 6th, Aexander Bachev in 8th & Sam Bull in 9th. All the riders are getting geared up for the next event – The Levitaz Cup at the end of June and other Gold Cup stops in Asia before the World Championships in Oman in November. The UK has spawned some serious kiteboarding talent over the years and Tom Bridge is certainly one of them. 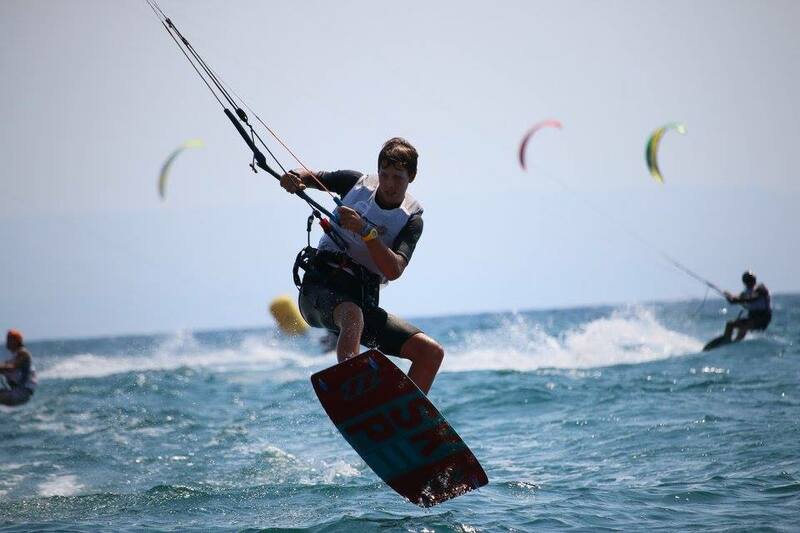 With an impressive kiteboarding career to date, Tom’s talent has shined through from the moment he took his first steps on a board. Dominating the youth scene when he was still in single figures, he’s been known to give the big boys a serious run for their money. Over the years, Tom has taken to many podiums at national and international events. Although a dedicated Freestyle rider, Tom is part of the Bridge family who as individuals all excel in Foil boarding and Racing. 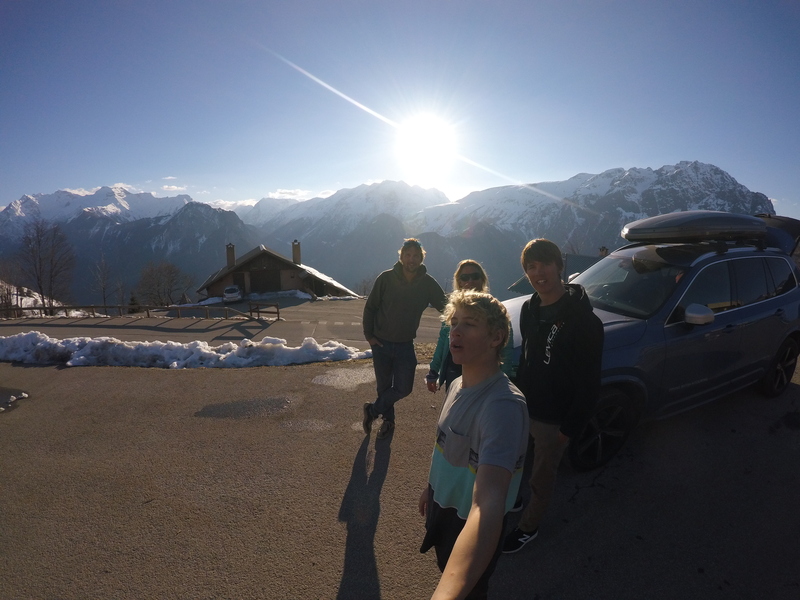 Obviously a talented lot, it is Tom who has caught the eye of Red Bull, a prospect that is just a dream for most, and was asked to join the world renowned extreme sports brand as an official Team Rider. Still only 14 years old Tom joins the impressive line up of what can only be described as The golden list of outstanding extreme sports athletes. All recognised for their legendary riding, creativity and passion for what they do, Tom personally thanks fellow North Kiteboarding Team Rider Aaron Hadlow, for showing him the way. Congratulations Tom! 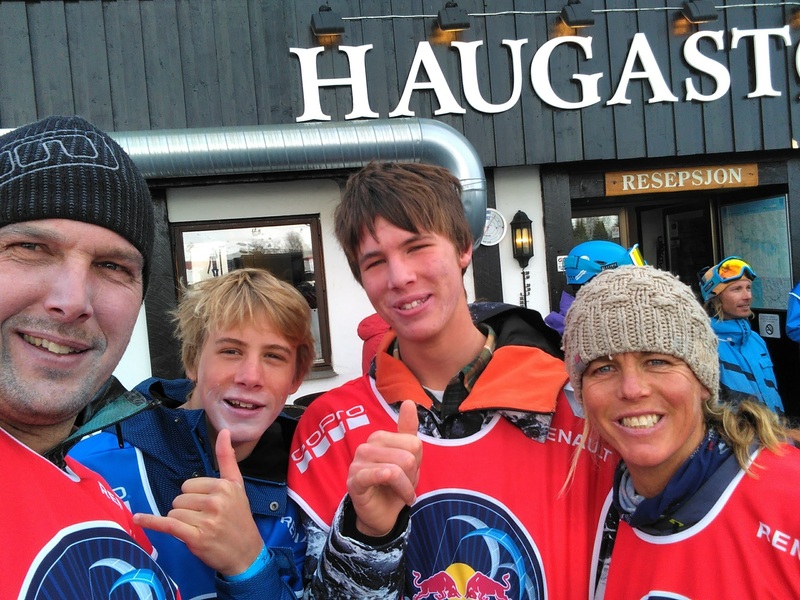 What does it mean to be a Red Bull rider? Joining Red Bull as a Freestyle kiteboarder is amazing and I’m so lucky to be part of the brand. It’s so forward thinking and has a massive pool of expertise that I can really benefit from as I focus on taking the sport to the next level. There’s so much opportunity on offer like being able to share ideas, get help with my physical training, interacting with other Red Bull athletes and learning from the best. 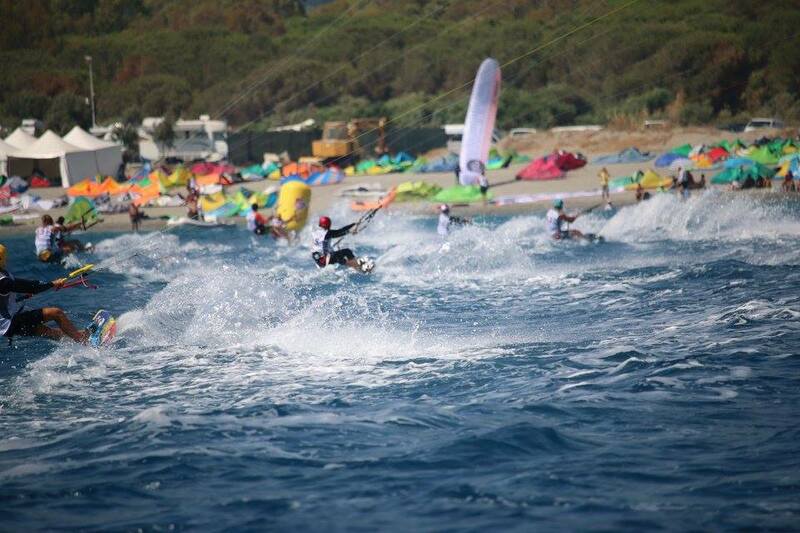 I started kitesurfing when I was 7 years old and really started to dominate at the Youth Worlds and European Freestyle Championships when I was still really young. I didn’t loose a Junior Freestyle heat for 5 years, I suppose I was a bit ahead of my time. It also helped a lot that the 5 x Freestyle World Champion is a Red Bull rider from the UK. Thank you Aaron Hadlow for showing me the way and helping with the transition. You’ve been a top rider for a long time, first in the youth division and now in the men’s categories. 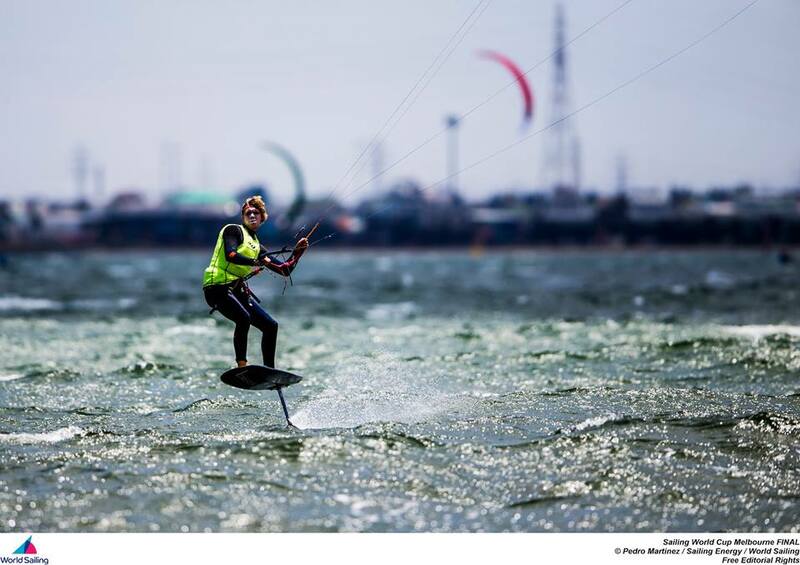 In your opinion, how has kiteboarding progressed and what do you think of the new format? In Freestyle the bar has been raised a lot! When I was doing the Juniors, the top men were doing Blind Judge 5’s as one of the top tricks. Now that trick doesn’t even feature in their heats. The new format that we’re seeing in Freestyle is helping the riders to take more risks. It’s challenging the riders to the max and you never know until the last trick who has won. It’s also a great spectator sport since there’s a high quality live stream and good commentary that gives a better understanding to the scoring system. The new format also pushes the riders to train hard as expectations are transparent. When you know what’s expected, you can then work on power, height and speed into your best tricks. I was supposed to be revising during the WKL Leucate event but I kept turning on the live stream to see what was going on. How have you adapted as the styles and gear have progressed? I’ve moved from riding straps to boots so I can be more powered. The boards are stiffer and I’m riding a bigger board with more rocker which generates more pop. The new 2017 North Vegas is such a perfect kite for unhooking and riding powered. I also love that the Wakestyle Bar is so small. For wave riding nothing beats the Neo’s, especially in combination with the Click Bar – being able to depower your kite with the push of a button is pretty amazing. 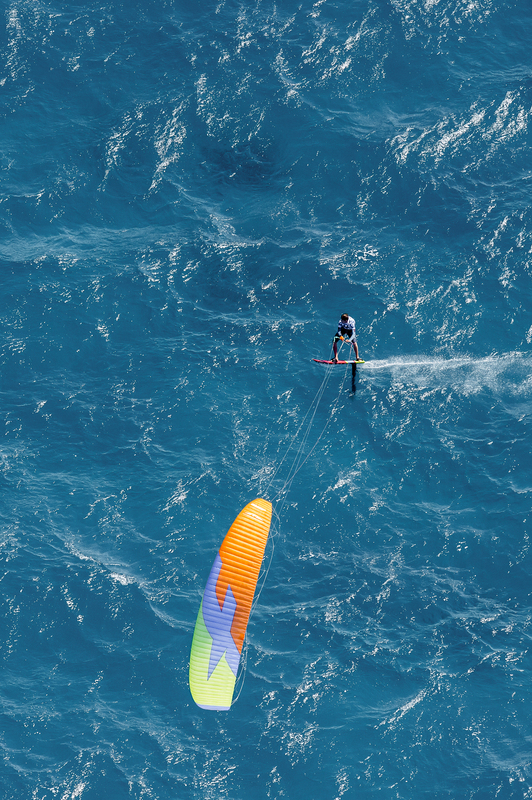 When I first started kitesurfing there were no good small kites, bars, harnesses or boards. I had to wear two wetsuits at once to stay warm since getting a decent one in the right size was tricky. Everything has come along way since then! What is your favourite style of riding? Freestyle is my main focus, but I’m really getting into kicker tricks and riding waves with my Dad on the Neo’s when I can. 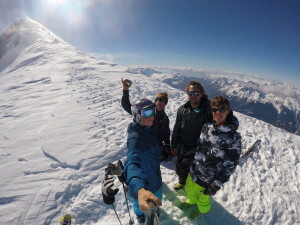 It’s great to mess about on the Foil with my brothers Guy and Olly who are really fast and train a lot. To be honest, I love all aspects of kiteboarding and recently have had my best ever snow kite experience at the Red Bull Ragnarok in Norway where I started to get some real big drifts. When it’s howling windy I love mega looping and am stoked riding with my school friends who are learning. What is your favourite setup? Take me to a flat water spot with some kickers – it’s the best playground ever! Then give me a 10m North Vegas on a Wakestyle Bar with 5 lines, and a 138 Team Series with North Boots. What advice do you have for younger riders aspiring to be the best? Start young, be brave, and even if the wind is light you can still get out and practice. When I was under 11 years old I was small enough to ride in 10 knts, which combined with flat water was perfect for learning tricks. I was also lucky to have brothers who I could ride with and film with, this helped me learn a lot. 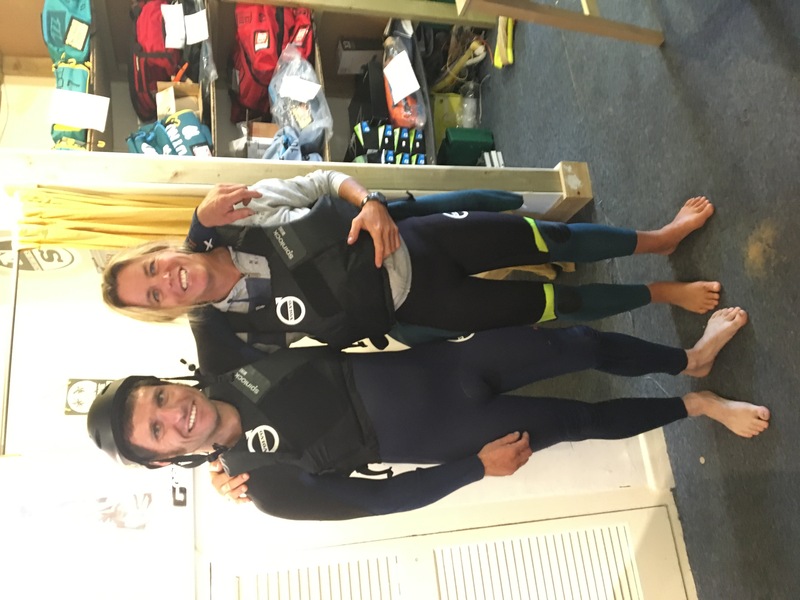 My mum and dad also run Edge Watersports and both love kitesurfing. Having a trampoline in my garden with a bar setup on it helped me learn the tricks off the water. For me, I just love being on the water! So the moment I get home from school i’m off to the beach, it’s only the wind that determines the discipline I practice. What do projects do you have in the pipeline for this year and what can we expect to see from you? My main mission right now is do well in my GCSE exams which i’ll finish on the 18th June. After that i’ll be spending as much time as possible training for the Freestyle tour. 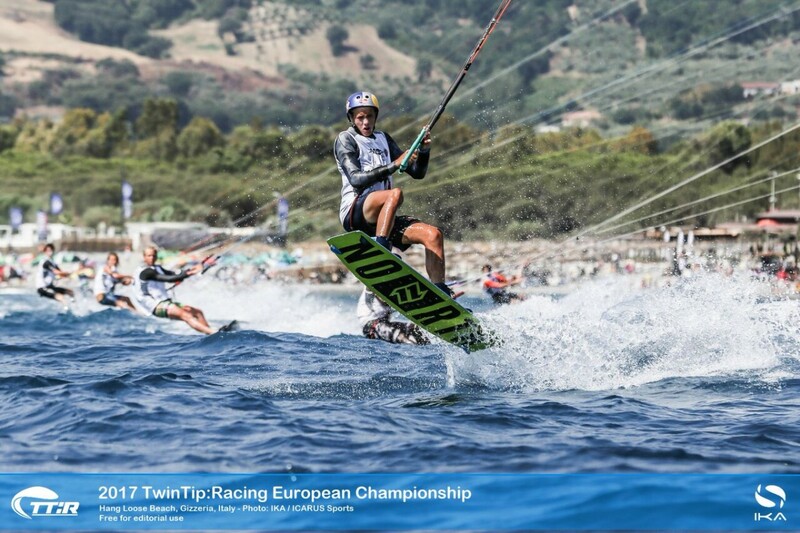 In July i’ll probably go to the Youth WKL in Costa Brava, followed by the Youth European Twin Tip racing event in Gizzeria. 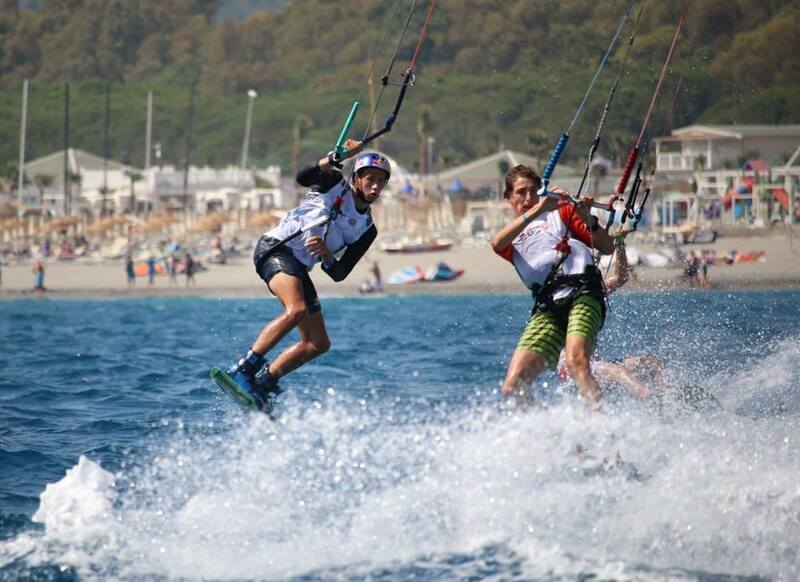 In 2018 the Youth Olympics will showcase kitesurfing in Argentina and I would love to represent Great Britain. I’ve never raced before, but I reckon i’ll get the hand of it and refine some racing skills. I have some projects planned with Red Bull and also want to start doing some rail and kicker riding. I’ll also be working hard on my physical strength, paying attention to my knee. I’m aware that with the level of riding going up my legs need to be much stronger. I’m really excited for the summer and can’t wait to ride with some of the top guys. At age 16, Tom is officially part of Red BullUK and is super excited to working with the brand on projects to bring kitesurfing closer to the mainstream media. Tom is looking forward to finishishing his exams this June so that he can focus 100% to push his freestyle level so that he can qualify for the World Freestyle tour in 2018. 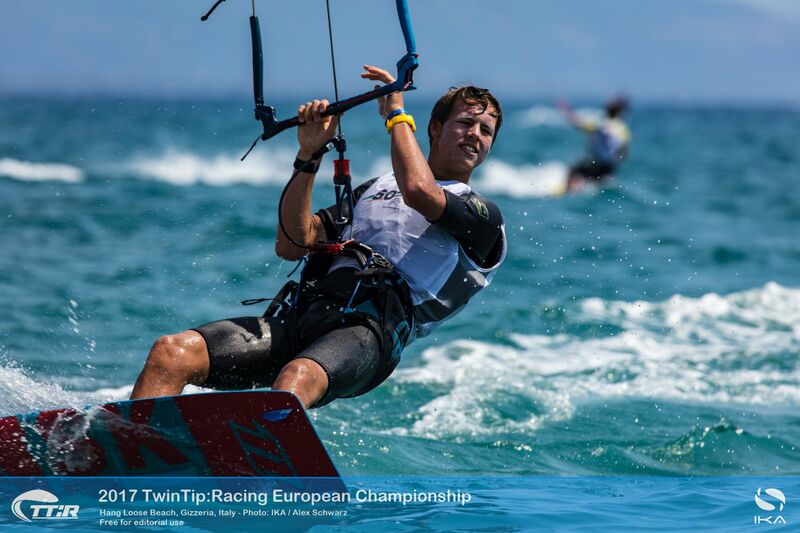 Tom will also be training for the Youth olympic Games (YOG) in 2018 where kitesurfing will have 1 medal for girls & 1 medal for boys under 18′s category twintip racing. For us, this was our 4th time to this inaugural event & it seems to become harder to complete the 130km course in under 5hours. Red Bull Ragnarok takes place on the plains of the Hardangervidda, a vast area with ideal conditions for snowkiting. The race format is a mass start, where over 350 snowboarders & skiers from over 29 nations gathered with their kites in the air about to embark on the huge challenge. With waxed skis for the deep soft snow, we all had our smaller kites. Guy got off to a great start​ and managed to hold his 12th position for the 5 hours. The course was ridiculous – long leg burning legs around gates that were on the ridge of steep mountain sides where winds were either blowing over 44knots with a snow storm or down in the valley dropping to 5knots & soft very sticky snow. Without a caddy to help kite change, we decided the strategy of taking 9mtr foil kites with race bars for extra depower was a good compromise. Tom had his best one and half laps yet for any Ragnarok he has participated in: most of the time seen jumping off cliiffs & overhangs , as always making a game of the Terrain. Eric took an 8mtr inflatable & dialled into neally 3 laps in the 5 hours while also feeling frustrated that he could have used more kite in area’s. Only 8 kiters finished all five laps, the winner was German Felix Kersten, who secured his second win in the men’s ski category with a winning time of 3 hours and 40 minutes – nearly 27 minutes ahead of second. 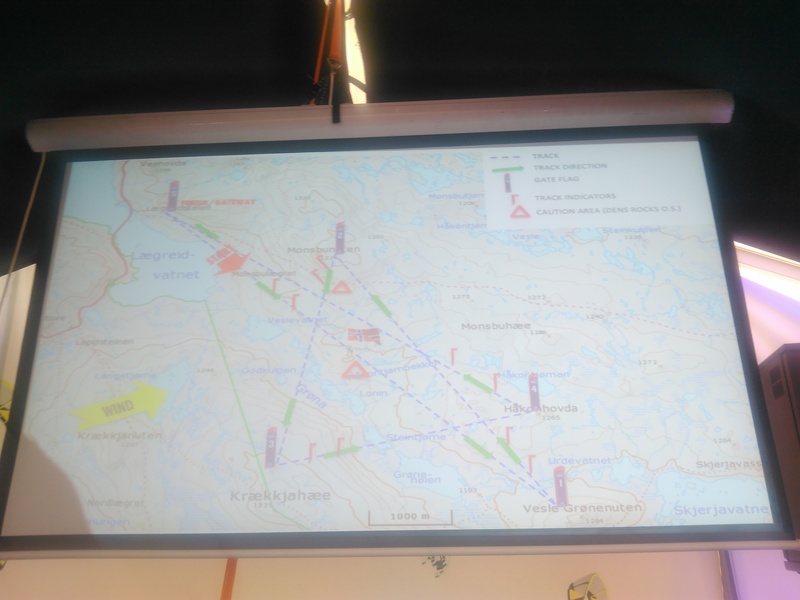 This was neally 50km/hr which is an incredible and gives us all something to work towards. So, for 2018 we really hope to return to join this mass endurance event that puts us all to the test. 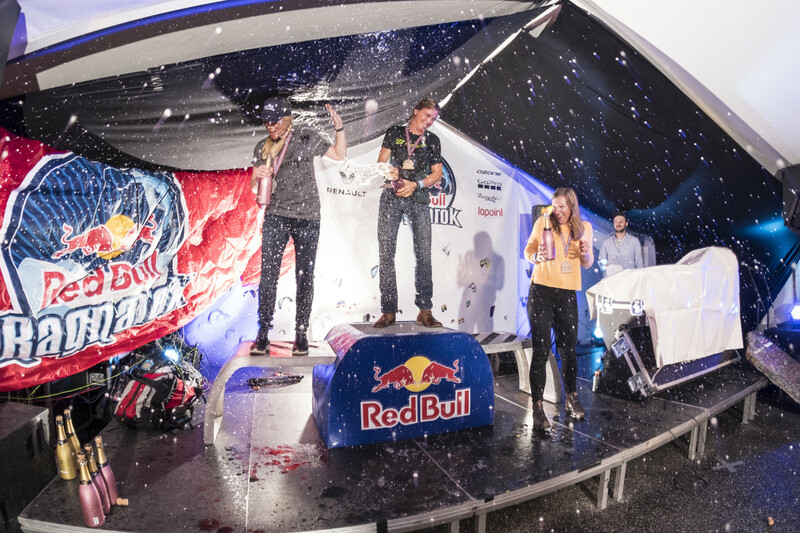 A huge Thankyou to Red Bull Uk for their support, Haugastol for their huge hospitality and our partners Volvo, CAT Rugged Phones, Northkiteboarding & ION. Olly & I boarded the 10hour flight to Grenada. ‘The Island of Spice’ Grenada is lush green with crystal waterfalls, golden beaches and incredibly friendly people. 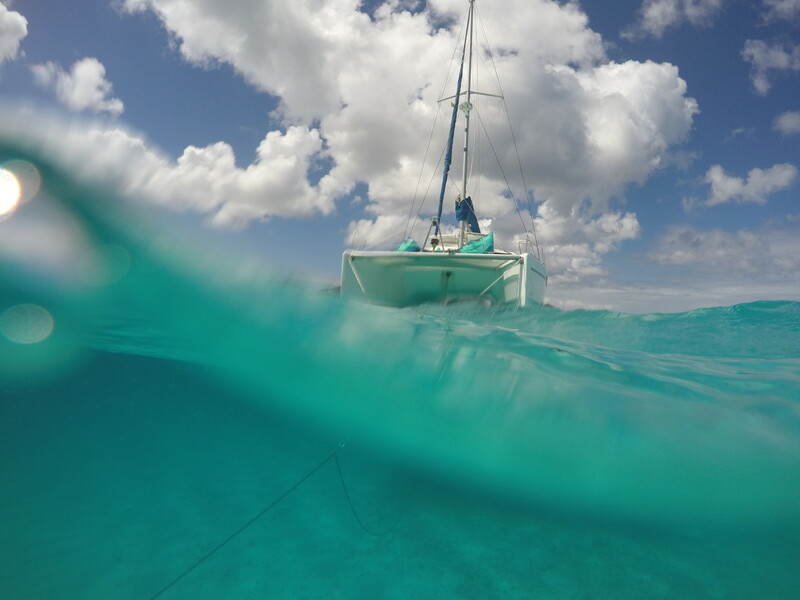 We were picking up our 46ft Catamaran from Horizon Charters which we were sailing 40miles upwind to Union Island where our charter would begin. The Grenadines are a buster of small islands with few inhabitants but always a rum shop! A brief intro to the yacht and a huge £800 shop to stock the boat for the next week of solid kitesurfing, adventure & foiling action. The Sail up was slow with a head wind & some decent waves off Kickin Jenny (An underwater Volcanoe). We passed one of my favourite islands, Carriacou where the Habitants live by farming, fishing and seafaring, and must be amongst the friendliest in the Carribean. This is an island with over a hundred rum shops and only one gasoline station. We sailed passed frigate where Olly made his first runs over 10 years ago and dropped anchor in Clifton, just off the kite beach which is now the JT pro centre. A snorkel ashore in the dusk to find out where Morgan & Amber were living and we made a surprise visit to their shack behind the runway. By 6am the following day we have pumped the small kites & were kitesurfing with them & enjoying the morning warmth, amazing colours & incredible wind. We had until 4pm when Ray, Mark & Geoff were arriving so we sailed across to Palm Island for a kite. Not the best anchorage, however a small kite session, snorkel & walk on the beach. We were starting to get concerned that the House batteries were not getting charged so the local mechanics, Quasy soon became known to us & the next thing is we have lost all power for lights etc. Assured that we have 4 new batteries on a ferry on route to our boat we sail to Mayreau and establish that we had again found paradise! 7mtr weather & it was perfect for strapless & twin tip action. Salt Whistle Bay (SWB) in Mayreu provided shelter for mooring, decent wind for all, flat water patches, small waves plus a local beach bar. What more do kiters need? 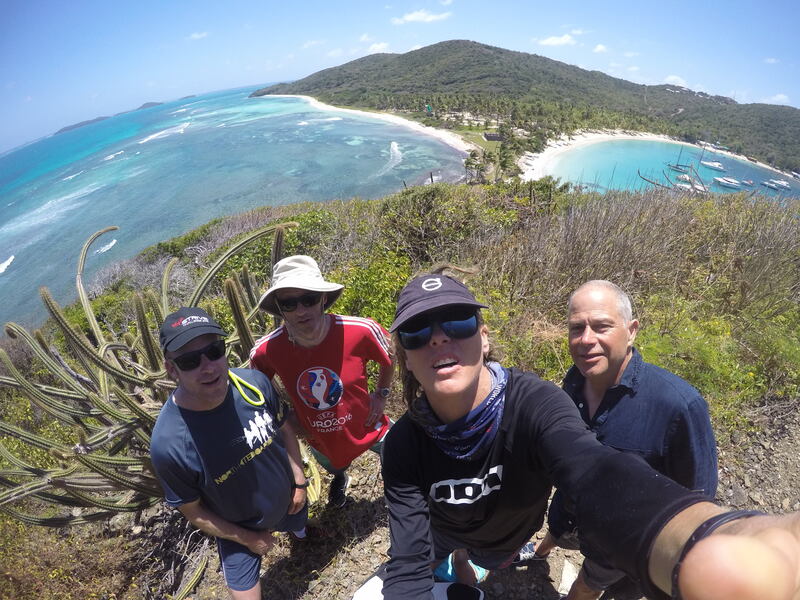 It wasn’t long before we convinced everyone that there was other islands for us to visit so we set sail for the Tobago Cays. An anchorage straight off the turtle zone & a chance to swim with the turtles while resting from the many kite surf sessions that took up the day! Life on board the boat is so easy & is always an excuse to play in the water. The days are long with such early starts but this is boat life at its best. We soon needed the mechanic, Quasy back to replace the generator pump and following his departure we find the most strange situation: then boat is without water! We had been conserving water for the last days and knowing that we had a full tank left, all of us were looking forward to a shower!! We are not sure what happened (& never will) however it just proves how little we all need to wash! We all enjoyed washing the dishes in sea water at the stern of the boat & the need to shower or wash became less important as the days that passed. 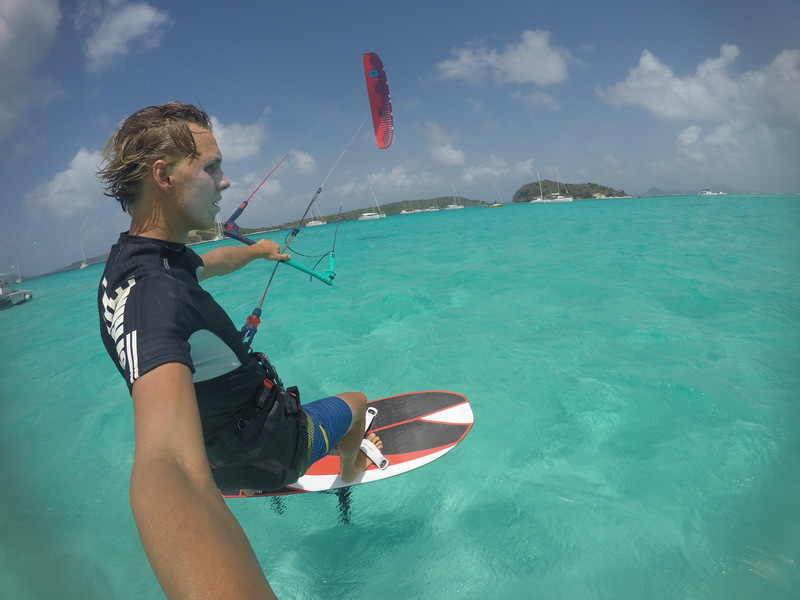 The lagoon that formed inside the horseshoe reef off Tobago Cays was superb for foiling & learning to foil. A couple of sessions in the flat water with smooth wind & Ray is up & going while Mark & Geoff have regained the feeling for flying again. Olly & I took turns on the new Levitaz foil whilst getting chased by the park ranger for going too fast!! Some great stars to be seen & a small outing to the Worlds End Reef, it was soon time to return to SWB for drink water! Whilst Geoff, Mark & Ray took the downwinder, Olly & I sailed the boat and found another great anchorage. With the sea state now much clearer there was hope that Olly’s drone that dived itself into the Ocean a few days ago would make a welcome appearance!!! No such luck, however at least the wind continued to blow! Its a 20km sprint from Rottnest Island to Leighton through a busy shipping channel with a confused water state & plenty of clumps of seaweed to throw you off! 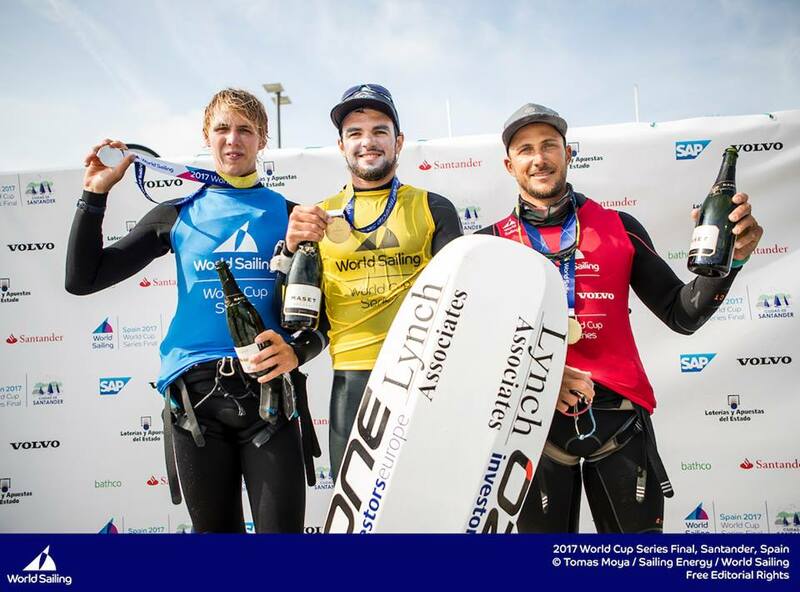 This year for the first time, Guy joined the race, using his levitaz hydrofoil & 9mtr kite Guy was fast all the way – close 2nd to Nico Parlier. 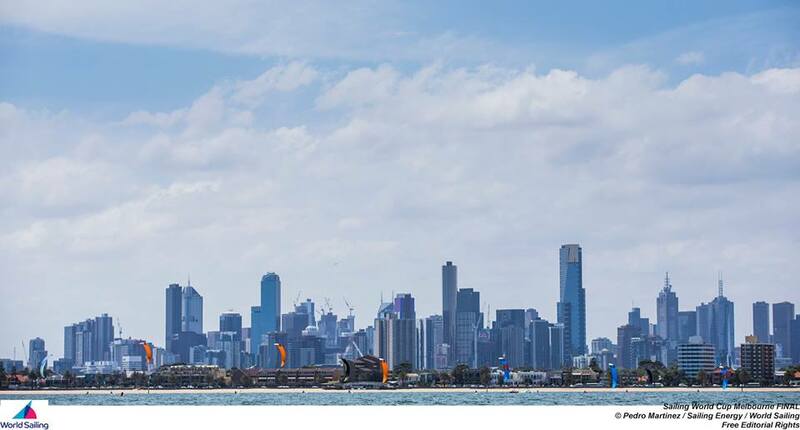 The final for the World Sailing Cup in Melbourne took place off St. Kilda in a wide range of conditions from 12 – 35knots over the 6 days. A great test for all the athletes that had made the journey to compete in this inaugural event that was in no doubt set to remind worldsailing & the IOC why kiteboarding should become part of the Olympic Games in 2020. The fleet of 20 were split into 2 and 6 races took place each day to determine Gold & silver fleet. The short Track Format was tested which meant for much tighter courses, a close field of racing & a more clear vision for spectators to see who was winning. Boat Handling skills & a decent start paramount in these 8 minute races where if you crashed you lost everything. 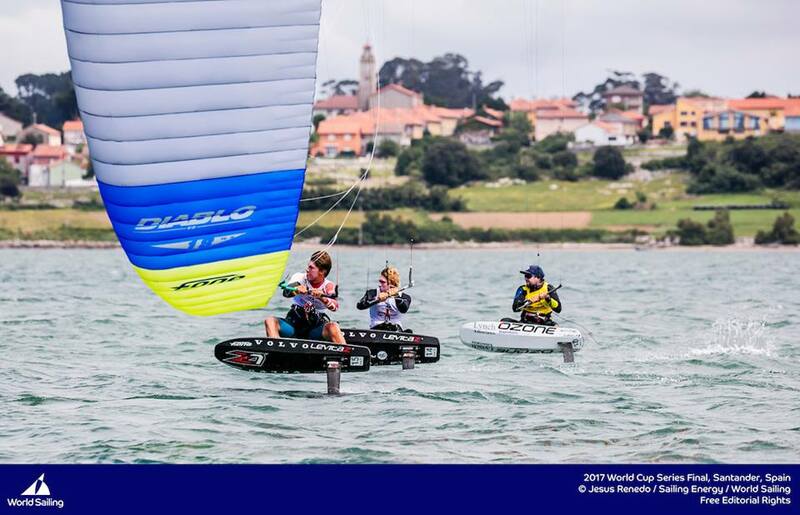 No room for gear failure or being sloppy, this format became ‘next level’ on day 3 when the wind blew in onshore 30-35knots and all other sailing was cancelled for the day – all except the foiling kites! The shallow waters off Port Elizabeth meant that the sea state remained rough for the next day while people continued to ride on their small kites. Day 5, the day of medal races where all can be lost or gained in a show down of 3 medal races back to back that are non discardable. 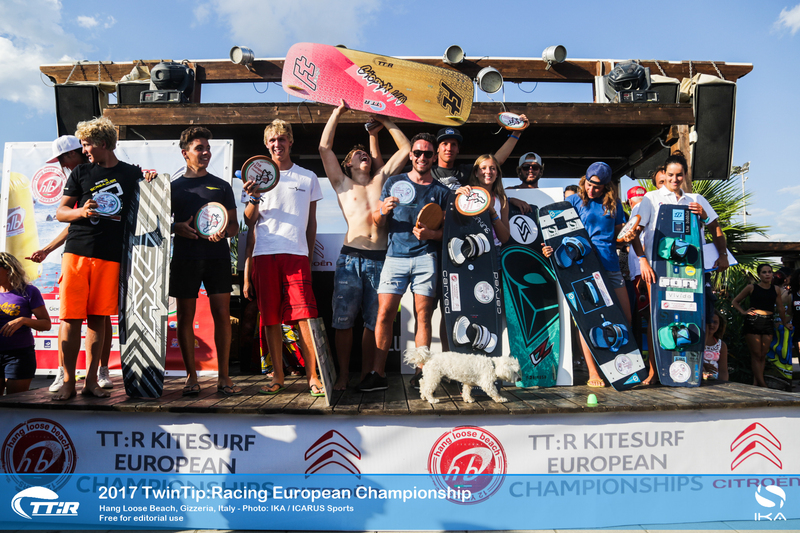 A format which gives huge added pressure to the athletes, this time saw Olly Going in with a 15 point lead to his brother – Guy who was separated by just 2 points between Florian Grubber & Florian Trittle for 3rd & 4th Places. The kites took to the stadium which was a small area close to the beach with live data displayed on a big screen and all angles / speeds bought to the beach with some decent live commentary. This was it – the real thing! Foiling kites racing a round a track that is visual where there are plenty of opportunities to gain/ loose/ crash. Olly’s first rounding of the top mark saw him take a huge stack in some seaweed and this got the crowd going: suddenly the favourite to win that has won every race up until now has just crashed hard & struggling to re-start. Olly put the roomers to bed in race 2 & 3 with blinding starts & sailing his best to take Gold in the World Sailing Final. The job was not so easy for 2nd, 3rd & 4th where all but a point separated the 3 athletes, leaving nothing to chance it was the final reach to the finish that saw Guy hold onto podium position but not the colour he wanted! Guy’s crash in race 2 had cost him the silver which went to Spannish rider – Florian Trittle with just 1 point away Guy Took 3rd while Florian Grubber stayed in 4th place. Exciting times for the sport right now – Like it or not the short track format is here to stay if this sport gets to the Olympic Games. 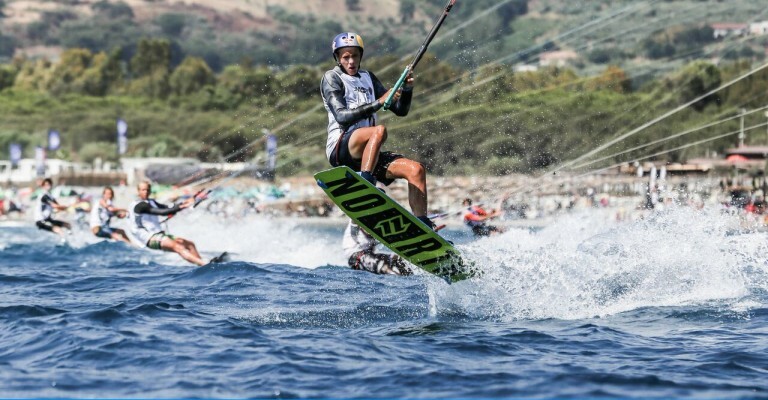 Kiteboarding is leading the way in what the IOC want to see and although the long upwind/ downwind legs were not used – its funny how the same people still win. In fact, the sailor just had to step up their game. We were contacted by Channel 4 to see if we would be able to introduce ‘Guy Martin’ to ‘Hydrofoiling’. 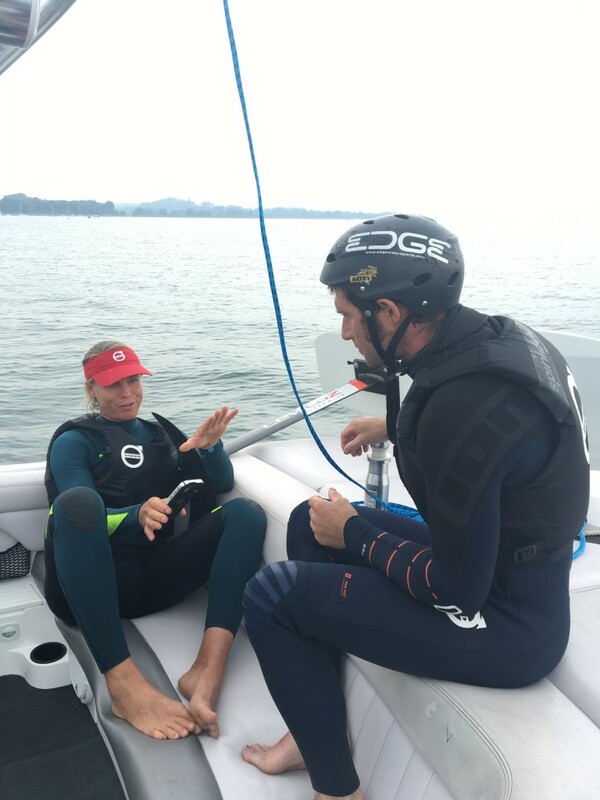 This would be part of his series on “Speed’ & since we have a wealth of knowledge on foiling & coaching, Edgewatersports was the chosen venue to work with Team Bridge. Similar to what is seen on the America’s Cup boats now, this is a skill that involves balancing above the water on a set of wings that work in a way similar to aeroplane wings. Guy is trying to beat the speed record for a human powered boat so it was felt that this skill would be invaluable to give him the muscle memory needed to use his custom built weapon that would see him challenge this record. Guy arrived at our watersports centre & shop- ‘Edgewatersports’ and it was obvious immediately that we were going to get along. We started with the balance board which Guy cracked straight away. 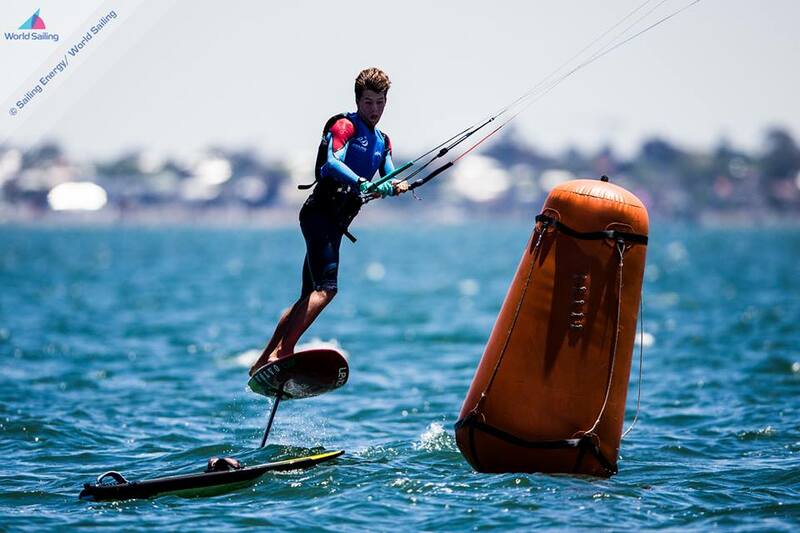 It is difficult to replicate the feeling of foiling, but this comes quite close in that it involves your weight over the board & switching on the small muscles in your body. 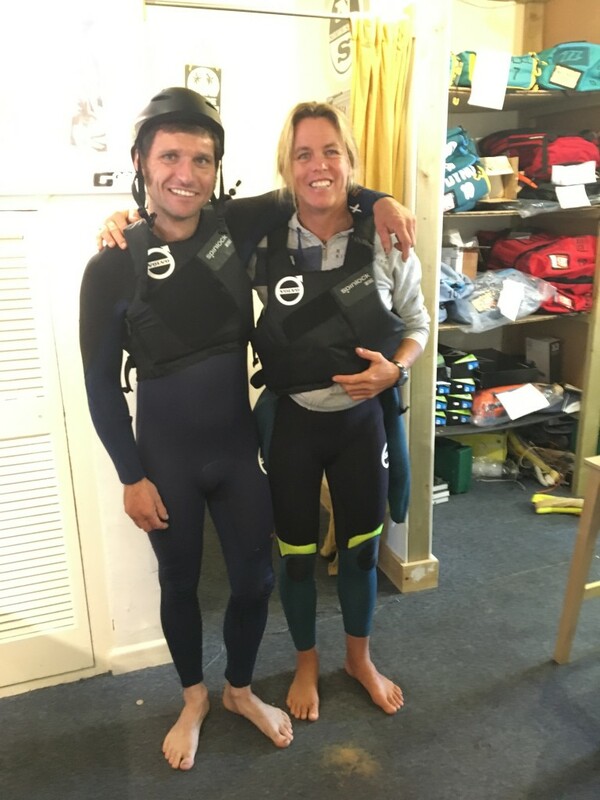 Time was tight so we soon equipped Guy with a wetsuit, impact vest & Helmet ready for his day learning to hydrofoil. Guy was no ‘waterman’, this was his first experience in a wetsuit!!! We took a selection of boards and used Exe Wake to assist us with boats. The fastest way to learn to hydrofoil is behind a boat. Since Guy had never had the feeling of being pulled up on a wakeboard before, we needed to get this feel natural. This was shortly followed by the feeling of a directional board which gave the feeling of being rode flat on the water. 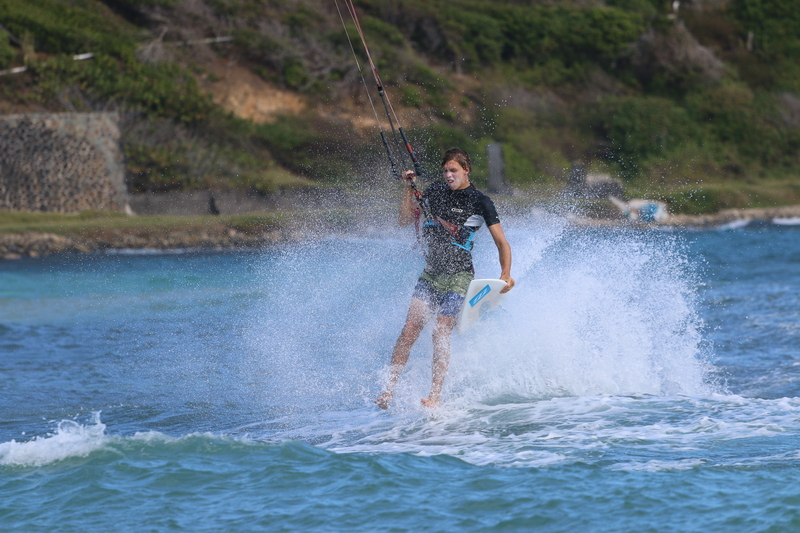 Following a demonstration by our middle son- Guy (now re-named big Guy) who is one of the top Hydrofoil racers in the world and myself, it was time for Guy to give it his best shot. The boat needed to be driven slower to enable guy to gain control of the foil when he was riding along the water. Any small movement the wrong way and you are off. So- as you can imagine there was plenty of crashes!! But as we know, Guy is not scared of crashing!!! 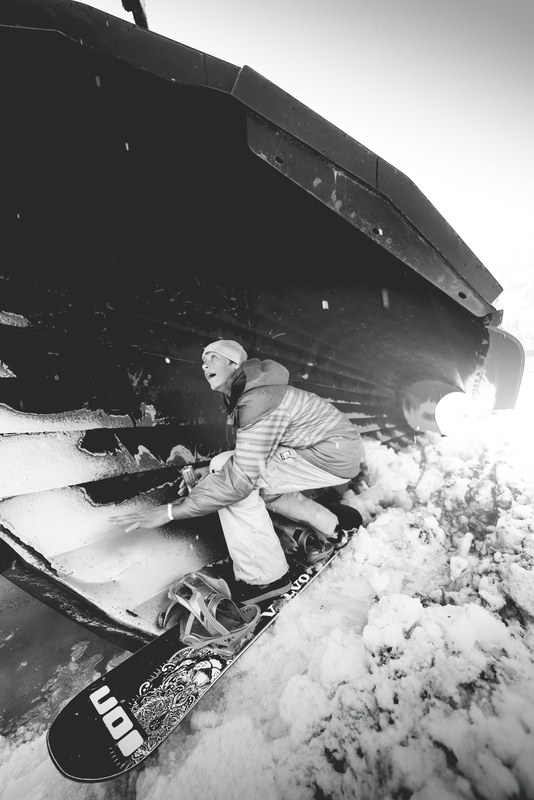 Certainty not one to give up, Guy picked himself up & was determined to crack the beast! This is a skill that most take 20hours to learn & Guy had set himself the challenge to learn it in 1 day so this was always going to be ambitious. Exhaustion in his arms & mental concentration soon took the better of him and although Guy had not cracked it, he had had moments of riding along & the feel of foiling. A break for lunch aboard the River Exe Cafe and it was time for more practice. An amazing listener & learner, it was a real honour to work with Guy Martin. He even came back to our house & had a cup of tea before he left to travel back to Grimsby for work the following day – ‘Top Bloke’!!! !